A shoe print believed to be that of missing SaddleBrooke man Ralph Dawson. 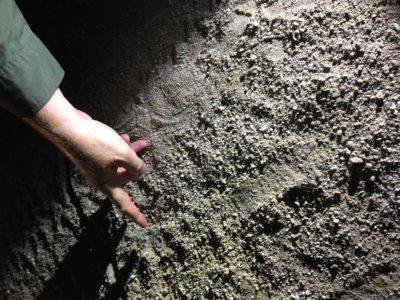 A deputy points to a shoe print believed to be that of missing SaddleBrooke man Ralph Dawson. An 89-year-old SaddleBrooke man is back home again after going missing. Ralph Dawson left his SaddleBrooke home around 9:30 a.m. on Wednesday, Sept. 5, 2018, with his walking cane. When Dawson did not return home, family members called PCSO for help. PCSO’s Search and Rescue (SAR) team was dispatched to assist in the search. 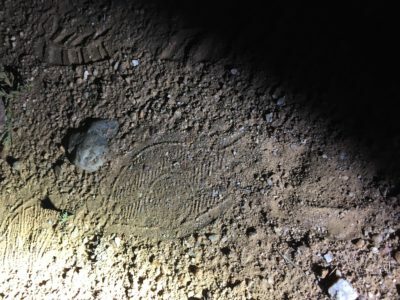 Deputies found a shoe print they believe to belong to Mr. Dawson about a mile from his house. They tracked him until they were confident that they narrowed down the search area and called in the DPS Ranger to assist. The DPS Ranger located Mr. Dawson about 300 yards away from the PCSO team. Dawson was found around 11:00 p.m., roughly a mile and a half away from his home in a desert area. “PSCO has some of the best Search and Rescue trackers in the state. Without their skills of noticing a shoe print and marks left by Mr. Dawson’s cane, this could have been a much different ending. 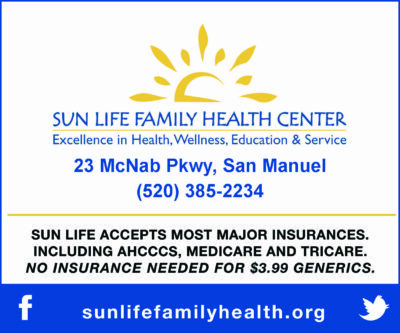 We are lucky to have them,” said Sheriff Mark lamb, Pinal County. PCSO called in Golden Ranch Fire Rescue to assist in carrying the 89-year-old out of the desert area. Dawson is recovering at a local hospital and we wish him a speedy recovery. We would like to thank our SAR team, our SAR Posse Volunteers, Golden Ranch Fire Rescue and DPS for their assistance in this search.